What are summer tyres and why you should buy them? You may have heard many experts talk about buying and installing summer tyres before the onset of summer. However, many people tend to think that they can use winter tyres or all weather tyres during the summer or all year round for that matter. The truth is that in countries like the UK where the weather drastically changes each season you need to use tyres that are meant for that weather. Summer tyres are specially designed to ensure that they provide the right mix of comfort and safety during hot summer months. The major difference between summer tyres and all-season tyres or even winter tyres is that they provide much better road grip. Since it rains extensively throughout the UK during the summer, using summer tyres can prevent aquaplaning and improve drive comfort during slightly wet conditions. Plus, summer tyres are a lot more durable, and unlike winter tyres which if driven in the summer will not get punctured easily. It is for this reason that we recommend that you buy summer tyres for your vehicle. Which summer tyres should you buy? Most buyers are often confused about the tyres they should buy. While big name brands like Bridgestone, Dunlop and Yokohama are known for their quality these tyres can also be expensive. However, you should always buy summer tyres that you can afford. 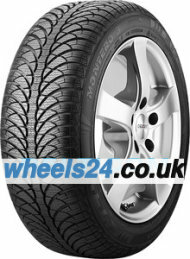 At Wheels24.co.uk we currently sell the widest selection of summer tyres on the internet but most if not all of the brands you find on our website are good. So, it all boils down to your budget. Personally, we always recommend buyers stick with buying tyres from a well-known brand that they have always trusted. We sell summer tyres from all brands at the best possible prices. You will not find tyres at prices that we offer and it is for this reason that you should buy right away. Since prices fluctuate ever so often buying now can help you save money. If you have any questions about our summer tyres feel free to call or email us today.